Bike Wanaka Inc has been in existence since the early 90's, developing and growing mountain biking in the Upper Clutha region. Information about the club, trails, events, member deals & how to join is available here. • Build strong relationships with other organisations - DOC, Lake Wanaka Tourism and Upper Clutha Tracks Trust. 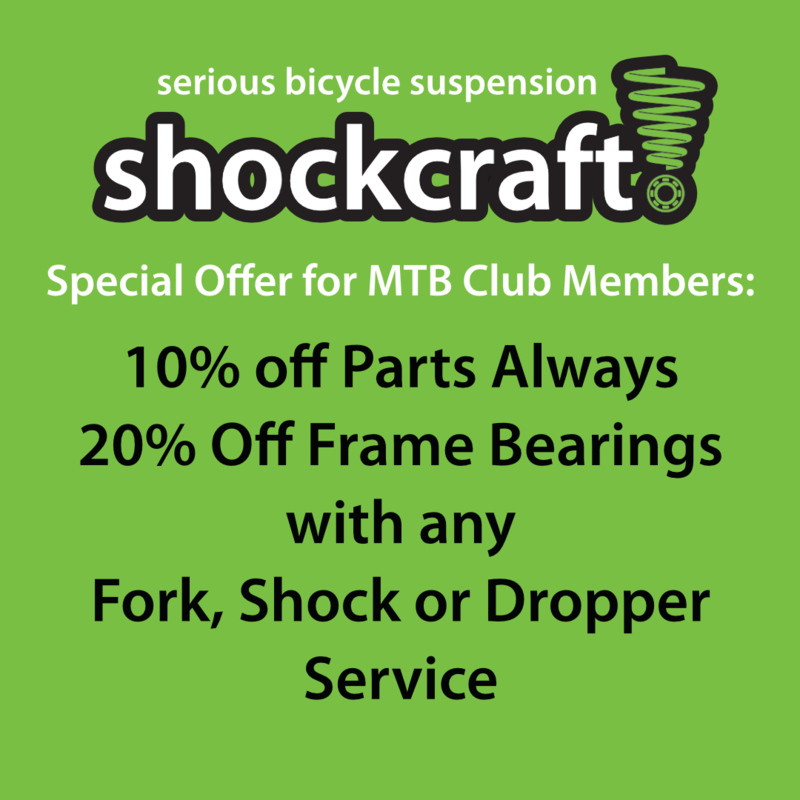 Information on our fork, shock and dropper service, including pricing, is available here. If you want to make your suspension better than stock, check out our tuning and upgrade options. If you prefer to do the work yourself Shockcraft has the best range of fluids, seals and consummables to ensure your bike works well in the Central Otago winter & summer extremes. To receive the 10% discount on all service parts on this website use at checkout the discount code provided by Bike Wanaka. Please email us a copy of your Bike Wanaka club membership confirmation email as proof of membership. • Proof of current Bike Wanaka membership will be required prior to receipt of parts or serviced parts. • Our Service Terms and Conditions apply. • "Frame bearings" includes suspension bearings, headset bearings and bottom bracket bearings. • Shockcraft reserves the right to change these conditions & discount rates.